Merge is a unique word. It can have a positive or negative meaning depends on context. I would like to think my interpretation is somewhere between those two, but mostly positive. Fog merging into the Bay is quite dramatic and a regular occurrence. 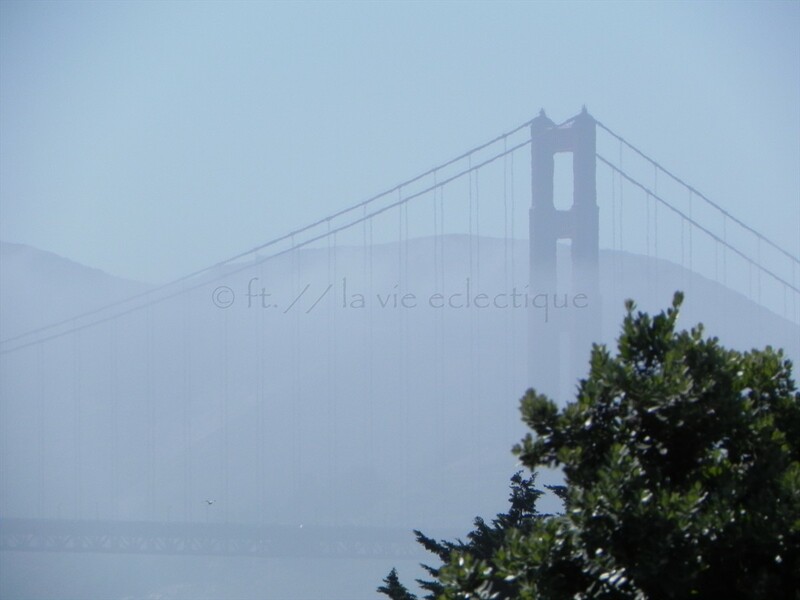 Sometimes much to the dismayed visitor who came to see the Golden Gate, but then only to be close to it and can’t see it as it is shrouded by a curtain of fog. Thanks CCU! 🙂 You are so great at encouraging others…thank you! Gorgeous pic… I love how it fades – as Choc Chip Uru said, it’s just ghostly. Wonderful entry! Where? I have never had crispy duck pancakes here. I think that’s a London Chinatown thing. We have peking duck which is prepared slightly different.